Everything became crystal clear: I had to communicate the stories and values hidden inside a cup of coffee. My first travel, disguised as a honeymoon, was 25 years ago in Kenya with my husband and an old borrowed camera. Since then my Nikon and I visited more than 20 countries. A journey without borders to the South: a bit like Ulysses, I’m guided to follow “virtues and knowledge”. I search intense, strong and emotional pictures, full of beauty and dignity. I want to discover and learn, get to know the world and unfold it through photos of lands and peoples while sharing secluded moments of intimacy to make the unknown become familiar. In all my travels, I uncovered places much more beautiful than could appeal at first sight, a world that could be improved if only we could overcome the ignorance that surrounds it. Schopenhauer stated that the “real” world is hidden under a veil, the Veil of Maya, which makes humans see it as they desire instead of how it really is. I believe photography and storytelling are the best tools to lift this veil. Today, while we live in an era of systemic unsustainability, awareness is vital: we can’t shy away from our responsibilities. Awareness has to be a spur to act, to pursue ethical principles and behaviors that guide our common life. Whatever we produce and consume can have a positive impact on the economy, on the environment, and on our society. The “real” world is hidden under a veil, the Veil of Maya, which makes humans see it as they desire instead of how it really is. With this mindfulness I founded Manus Loci, an NGO with the mission to contribute to the dignity of the most deserving among the less fortunate by sharing their heritage, land and work. St. Augustine once wrote: “Life is a book, and those who do not travel read only a page”. I am eager to tell and unveil my discoveries. My dream is for my work to influence as many people that have the power to recreate a natural harmony between Nature and humans, triggering a virtuous cycle between collective wellbeing and development. Elisabetta Lattanzio Illy, a journalist and photographer, has a degree in International Economics at the University of Trieste. 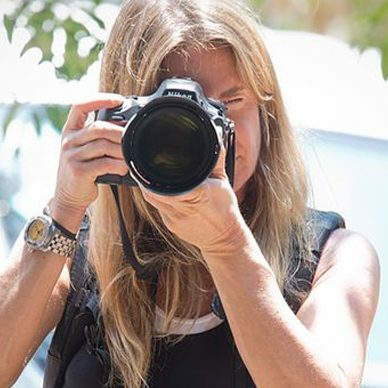 In the nineties, she pursues her passion for photography and studied journalism. 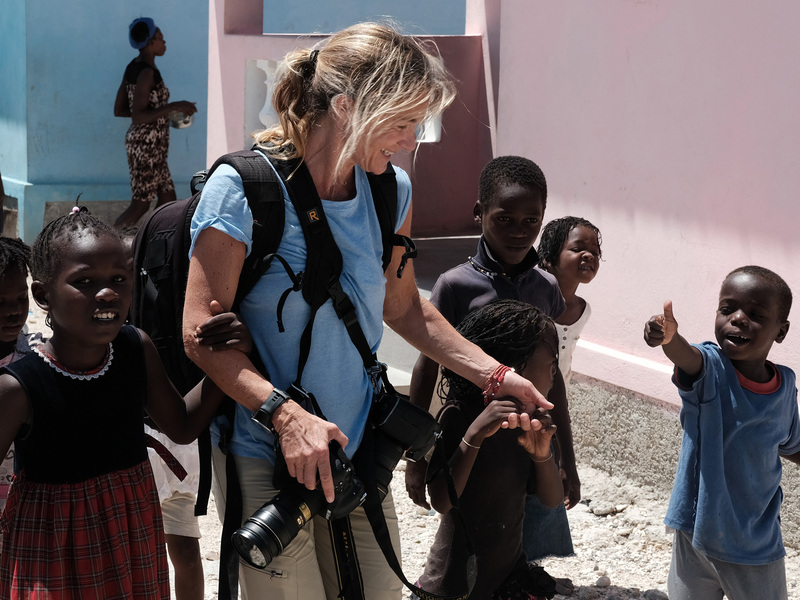 From 1999, she started her career as a contributor for important lifestyle and wine & food magazines, reporting through her stories and photos while taking portraits of the people she interviewed. During her travels in Ethiopia to explore the origins of coffee, inspired by the beauty of the landscape and the women and men that produced it, she published her first book, Aroma del Mondo (2008 -Ed, Ilustrata). In 2010, dues to the success of her first book, recipient of the International Gourmand World Cookbook Award, she decided to continue her vocation. After many journeys researching the origins of tea in India, China, Japan and Sri Lanka, she published her second book, Foglie di Tè (2013 -Ed. Illustrata). She is the founder on Manus Loci, a non-profit organization created in 2014, with the mission to raise awareness of the beauty of distant countries and populations through the appreciation of their products. Elisabetta and Manus Loci were included in several events at the Expo in Milan in 2015, such a personal exhibit, Expo-Sing A World In a Cup, a photo series that documents a journey through the coffee and tea trails, shown first at Palazzo Isimbardi, and later, at the Tecno Squad space at La Rinascente. Her work was showcased in two collectives, The Last Supper at Grattacielo Pirelli, and Natura e Artificio at Palazzo Clerici, in collaboration with Christie’s. In addition, she joined the WE-Women for Expo, a permanent program adopted by the Bureau International des Expositions. In the same year, she participated in projects to promote the Made in Italy in South America in the textile and the food & agriculture industries with the Italian Ministry of Development. In 2016, she did a reportage on a Water Management program for CNHIndustrial and starts a collaboration with Unido to support missions in developing countries. The following year, her photo exhibit Salt and Sand was included in the Italian Foreign Ministry Progetto Italia Cultura e Mediterraneo. Elisabetta is a member of the scientific committee for the creation of the first UBS Italian Philanthropy Forum and she is a co-author of the book Filantropie. Sfide e Visioni (2016, ed. Laterza). She is also a member of the Advisory Board of the European Institute of Oncology and the World Food Program in Italy. She is married to Andrea Illy and they have three daughters, Micaela, Jacqueline and Andrea.